With corporate tagline “Your Healthy Food Begins Here”, we contribute for the supply of high quality palm oil products to everyone. Al-Khaleej was conceived as a palm oil company in Malaysia to supply quality and healthy palm oil products. With our corporate tagline “Your Healthy Food Begins Here”, we actively contribute to the supply of high quality and reliable palm oil products to everyone. We believe that success roots on our genuine sincerity and care in our products and customers. We value our customers and aspire to provide the best quality products to build a sustainable business relationship. Currently, palm oil trading companies in Malaysia are accounting for more than a third of the world’s palm oil supply. From conception, we have established ourselves as one of the most reputable and reliable palm oil trading companies in Malaysia. Al-Khaleej supplies a comprehensive range of palm oil products under our in-house brands, “AL-KHALEEJ” and “JENNA”. We source the finest raw materials certified by Buatan Malaysia and JAKIM to ensure that our products are high quality and safe for consumption. Our products are supplied in various packaging types to cater for the different needs of various industries ranging from industrial to retail. Our palm oil products are all certified HALAL by the Islamic Development Department of Malaysia (JAKIM) for quality assurance. Besides that, we have expanded product range that includes packaging, jerrycans and flexibags. 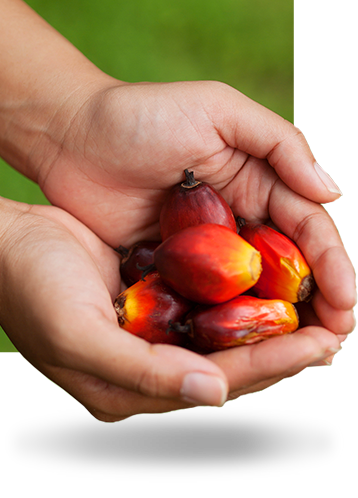 As a palm oil company in Malaysia, we are privileged to be part of the value chain in the palm oil industry. This has been a vital hallmark in positioning Malaysia as a major producer and exporter of palm oil in the world. As palm oil is an important constituent of human food, we will continue to leverage our best business model practice to sustain a positive long-term prospect of the palm oil industry. As an OEM manufacturer, Al-Khaleej also produces our own palm oil for local distribution. Jenna, Al-Khaleej’s in-house palm oil, is exclusively for the Malaysian market. Upon receiving its halal certification from JAKIM, it means that all Malaysians are able to consume it. 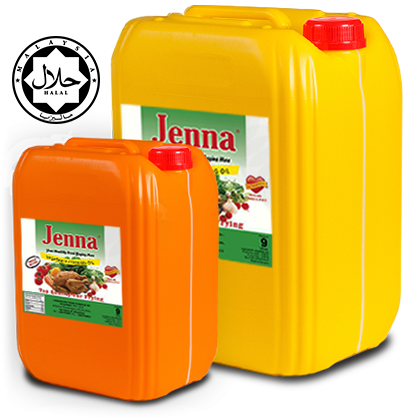 The 9kg Jenna cooking oil is mainly sold via distributors, but clients can get them at a lower rate directly from Al-Khaleej. This high-grade cooking oil is purchased by a variety of clients such as schools, restaurants, SMEs, caterers etc that are in Malaysia. In addition to being one of the plastic jerry cans manufacturers that are highly reliable and able to produce high quality jerry cans in Malaysia, Al-Khaleej takes the initiative to goes the extra mile in providing options for customization of the jerry cans. Customers will be able to select from a wide variety of sizes and materials based on their own needs and requirements. On top of that, clients can opt for virgin or high quality materials from Petronas & Lotte Titan Chemical and in any colours that they desire. Be it 10L, 18L or 20L, we will be able to deliver your product according to your requirements. With Al-Khaleej, customers can find the ideal jerry best suited for them. Palm oil packaging in Malaysia is very important to ensure that the products are safely delivered to the destination. In addition to logistical efficiency, manufacturers have to also ensure that the palm oil is free from contamination. Bag in box packaging was invented as a more efficient way for bulk liquid transportation. Our palm oil products come in the form of bag-in-box as well, and they are sold in 20 litres (1,279 cartons / 20’ feet FCL) and 20kg (1,120 cartons / 20’ feet FCL). 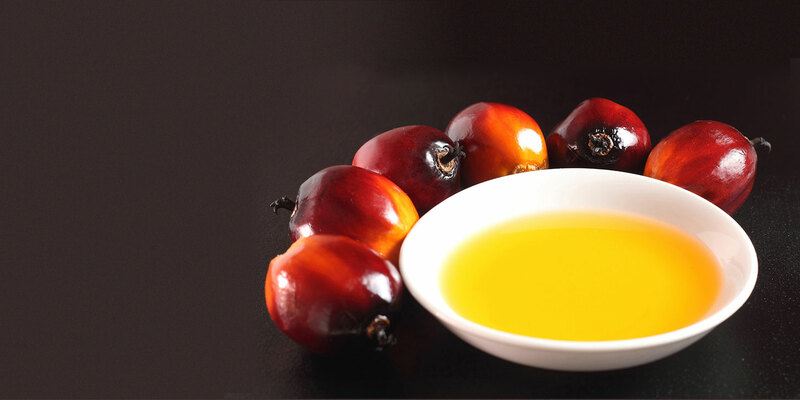 As one of the leading cooking palm oil manufacturers in Malaysia, Al-Khaleej has been a consistent provider of quality merit cooking oil to its consumers. Palm oil has always been one of the most important exports in Malaysia. Palm oil is known for being a versatile product that can also be used as a raw material. Currently, Malaysia considers as the second largest exporter of palm oil in the world. Al-Khaleej supplies quality vegetable shortening in Malaysia. Palm oil shortening is a non-hydrogenated fat that is solid at room temperature, it is easy to store and is less likely to go bad due to its low moisture content. Despite a creamy texture similar to butter, shortening usually contains significantly less trans fat and considers as trans fat free. Being in a compact solid form, shortening has a very low amount of water and no cholesterol. This heat-stable palm oil shortening is widely used for frying because the fried food is less oily hence it will be healthier. Vegetable shortening is also ideally to be used as a popular ingredient in baking. This is because it can produce a soft luscious texture for pastries, cakes, cookies, bread and etc. Our shortening is produced under stringent quality checking to ensure high quality standards as part of our commitment. 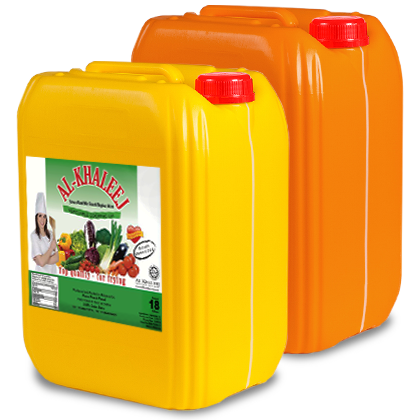 As a reputable manufacturer of palm oil products, Al-Khaleej is one of the most proficient commercial cooking oil suppliers in Malaysia. Vegetable cooking oil made from palm oil is the number one choice here in Malaysia due to a lot of reasons. With an affordable pricing and health benefits, palm oil remains the number one choice for cooking oil in Malaysia.